This is a four-day intense training for Fluffy Combo Microshading. 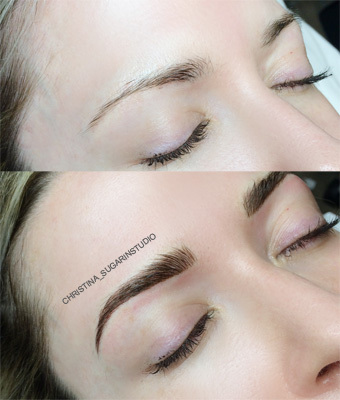 This is an eyebrow semi permanent makeup creating both texture, density and definition. This procedure is used with both machine and microblading tool. We will focus on creating light hair strokes to give textured look and adding shading to certain areas to give density and definition. This Combo training is a form of art and Christina believes in setting her students on track to blossom as their own unique artist. During the four-day training, you will practice on paper, latex skin and a live model.